When my mom had cancer, there was a chain of calls made to get everyone praying for her. She did her treatment (surgeries, chemo, etc.) while friends and family prayed, while her church prayed, while the churches of her friends and family prayed after getting her on their prayer list. Did the prayers help? They definitely didn’t hurt, and it fed something inside her that helped her as she recovered. I am grateful for each one sent her way. But you know what cut out that cancer, shrank down any leftover bits, and made her strong again? 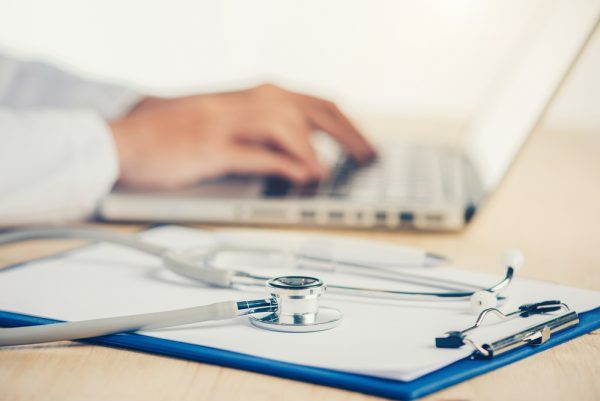 Doing the hard, uncomfortable work of consulting with experts about the hard truths, research, treatment, lifestyle change, going with her gut to do what was right to make things better even when it was so, so hard. I’m sure the prayers I am seeing this morning for those in the gunman’s way last night in Las Vegas aren’t hurting anything—and are possibly even helping in a way—but we need more than that. I grew up in a home with guns. I’ve handled and shot guns. I learned what was safe and what was not. I knew it was not a toy. I knew it was for protection and hunting. I understand that many people feel safer with them in their homes. But a gun cancer has grown in this country, and it is killing us. It’s killing our kids and our fellow citizens, innocents. Friends. Family. We can do better than this. We need to do the hard work. We need to consult with experts. We need to understand that making changes to gun laws so as to make it MUCH more difficult for those who want to hurt others (or aren’t well enough to be a safe gun owner) to get them. Or AT LEAST make it so if someone does go on a shooting spree, they can’t sweep a storm of bullets that rain through the flesh of innocents in seconds with ease. Killing killing killing with ease over and over again. Talk about guns in your home. Learn the laws in your community. Look into where your representatives stand on the issue, and look into where candidates for representation stand, too. Vote accordingly. When a bill/law is coming up for vote, contact your representatives and let them know where you stand on it. Donate your time or money to organizations that are trying to help cut this cancer out. Do you want to keep praying? Please do! Then after your “amen,” take that grace and do what you can to participate in the bigger part of the treatment plan to heal our country. When you are done praying after a tragedy, this is how to help. Listen to the gunfire in this video. The people who took it are hiding—you will not see a gruesome death—but listen, just listen. Is that sound you hear something that should be legal? We need to stop that sound. Take action, please. A look at how some people in the news got their guns (and some food for thought as to whether some of the laws/procedures regarding getting guns into peoples’ hands should change). A partial list of some of the mass shooting in America over the past 10 years. A resource and a community for people who support the Second Amendment while also want a safer country: Moms Demand Action. 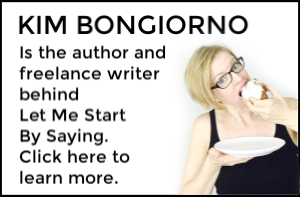 Kim Bongiorno is an author, full time freelance writer, and the blogger behind Let Me Start By Saying. You can find her on Facebook and Twitter, hire her to write for you or speak at your event. Girl. Amen. Couldn’t have said it better myself, and I’ve been trying all day.